Companies are scoring higher than before and competition between them is ever closer. But BMAC winner Diageo and runner-up Berkeley Group have hung on to their places at the top. Andrew Saunders reports. We may be in the depths of winter as far as the calendar is concerned, but all the indications are that the green shoots of economic recovery are making a tentative return. Optimism is rising even faster than the official GDP projections, and after several years' absence the competitive urge is well and truly back on the Britain's Most Admired Companies menu. All our 2013 top 10 companies score over 70 points (out of a possible 90) for the first time, and each place at the top of the table is especially hard fought, the gap between the winner and 10th place being a hair's-breadth 2.04 points. Back in crash-hit 2009, by comparison, that margin was more than three times greater. The shift from introverted survival mode to expansive opportunity-seeking brings its own challenges, of course - it's not always easy for large organisations to change tack swiftly. Which only makes the repeat achievement of 2013's winner - the taker of the overall laurels in the eyes of its sternest critics, the competition - all the greater. 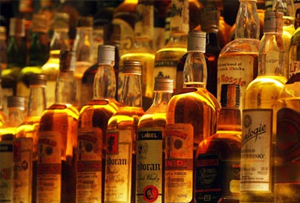 Once again, Britain's Most Admired Company is Diageo. As a parable of strategic consistency, assiduously applied and matched with ongoing excellence of execution, it would be hard to find a better example than the world's largest premium brand drinks group. With net sales up 6% to £11.4bn in 2013, and an operating margin of over 30%, the firm that makes eight of the world's 20 bestselling upmarket tipples - including Johnnie Walker, Smirnoff and Tanqueray - has now won the coveted Most Admired crown no fewer than three times, in 2008, 2012 and 2013. That puts it second only to the once-mighty Tesco's tally of six titles in the annals of BMAC history. Diageo's strength in the emerging markets is well known, and almost 30% of its business comes from newly affluent middle class drinkers in Latin-American and Asia. But consistency should not be mistaken for complacency, and the group is now pursuing the latest big international growth opportunity, Africa. It has been called 'the new Asia' and no wonder - Diageo's total sales there are up 13% per annum to £1.5bn, some 13% of group revenues. Beer rather than spirits is the name of the game here, and a relaunch of its biggest African seller, Guinness stout, complete with slick label and new-look bottle, has just been completed. It has also launched its first ever beer brewed from cassava, Ruut Extra, in Ghana. Although competition - yes that again - from arch rival SAB Miller (up 29 places to 19th) is fierce, the signs are that serious growth in the world's second largest continent could really be about to take off at last. Just as well, since the decade-long upward trajectory of the Asian markets may be running out of steam. Diageo's Q1 results showed lower than expected sales growth of 3.1%, attributed in part to 'substantial' falls in sales of white spirits in China. 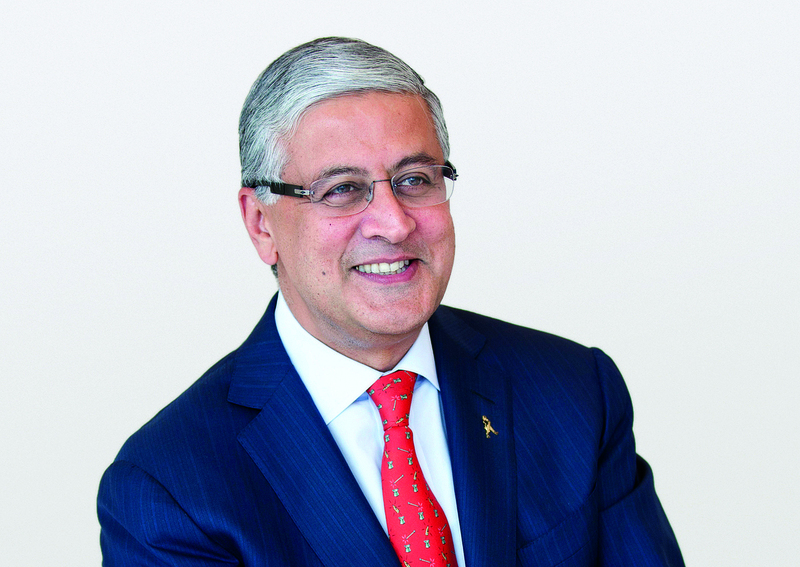 One of the key challenges for new CEO Ivan Menezes (the former management consultant who took over from veteran dealmaker Paul Walsh in July) will be to keep Diageo's medium-term target of 6% compound annual growth within sight. Another seasoned competitor retains its place too, in Tony Pidgley's second-ranked, London-focused Berkeley Group, famous for its swanky riverside flats and executive mini-mansions. In a year when the property market (at least in the south-east) seems to have skipped straight from recession-racked torpor to help-to-buy hyperactivity with nothing in between, Berkeley has once again managed to keep the rest of the nation's housebuilders at a substantial distance. It beat nearest rival York-based Persimmon by a clear 13.5 points, and took the criteria award for quality of management too. Its interim results in September revealed forward sales of £1.5bn and reiterated its commitment to return a hefty £568m to shareholders by 2015. MD Rob Perrins, who runs the firm with Pidgley as chairman, recently called for a review of proposed government property duties, including the infamous 'mansion tax' and a possible levy on overseas sales, which he reckons could seriously damage the industry. Unilever - the Anglo-Dutch Pot Noodle to Persil FMCG group - makes a welcome return to the podium: the 2010 overall winner is up nine places on last year, to third. It also cleans up in the category awards, taking the gongs for ability to attract, retain and develop top talent, and community and environmental responsibility. Boss Paul Polman's ambitious commitments to sustainability - he aims to halve the company's environmental impact by 2020, while doubling its sales - are clearly making rivals sit up and take notice. Like so many of the UK's biggest corporate beasts, Unilever is increasingly focused on the emerging markets that account for over half its EUR51.3bn annual revenues. In July this year it raised its stake in its Indian arm, Hindustan Lever, to 67% for around EUR2.45bn. The group is also taking a lead on diversity, with a steady flow of senior group executives now coming from beyond the traditional UK and European management proving grounds. But, as with its top-five oppo Diageo, there are signs that the consumer goods party in the emerging markets of the past few years may be winding down. In October, Unilever cited soft emerging markets as a cause of its Q3 dip in sales growth, down to 3.2% from 5% last year. In fourth and fifth come two very different businesses, John Lewis Partnership and Croda International. Everyone's favourite employee-owned retailer is back in the top 10 again this year, thanks in no small part to the continuing success of its Waitrose supermarket chain. Once a little-known south-eastern delicacy, Waitrose is now well established across the country's middle class heartlands and has just opened its 300th store, north of the border in Helensburgh. Waitrose accounts for almost £3bn of the Partnership's total first-half revenues of £4.22bn. Croda, meanwhile, is a speciality chemicals outfit from east Yorkshire that supplies ingredients for everything from lipstick and loo cleaner to the crop protection, paint and lubricants markets. A stalwart BMAC performer for many years, its remarkable diversity of product and market expertise helped it to put in its best-ever showing in the awards this time. JLP is a rare example of a once-common BMAC sighting, the high-flying retail group. If 2013 has been a glass-half-full year overall, that confidence has yet to spread to the nation's beleaguered high-street chains. Former colossus and six-times winner Tesco languishes at 191, one place behind Morrisons, after a year when falling domestic sales and profits were compounded by its final humiliating withdrawal from the US. The failed Fresh & Easy venture cost an estimated £2bn in total, as well as the head of former marketing director Tim Mason. Debenhams doesn't do much better, at 188. But there are signs of improvement all the same. Sainsbury's may only manage 81 in the overall ranking but its debonair boss Justin King (see interview, page 52) takes this year's award for Most Admired Leader, beating easyJet's Carolyn McCall and GSK's Andrew Witty into second and third respectively. Retailers may be down but they aren't out, seems to be the message, and they remain home to some of our most talented and capable businesspeople. Most strikingly of all, we have a new winner of the retailers - food and personal sector in the shape of old school super-discounter Aldi, a latter-day Kwik Save which leaves Sainsbury's, Morrisons, Asda, Tesco and even Ocado trailing in its wake, despite being a complete stranger to the apparently crucial 21st-century attribute of online selling. Probably best known until recently for own labels with not-quite-right names like Bramwells mayonnaise and Tamova vodka, Aldi now has 500 stores here and has won a record 3.9% market share in the UK with its low price, high-quality goods and smart 'Like brands, only cheaper' tagline. No wonder its founder, 93-year-old Karl Albrecht, is Germany's richest man. This year's sector totals - a kind of mood barometer for UK plc - also reflect the theme of cautious optimism. There are no fewer than four sectors with totals of over 600, compared with one in 2010 and none at all in 2009, when the highest sector total was 595. And that was in aero and defence engineering, an industry that traditionally does well in bleak times. The most upbeat this year by contrast is chemicals, whose total score of 631.2 puts it ahead of even the booming property business, second at 625.1. Just outside the overall top 10 is our highest-placed new entrant, Cambridge biotech business Abcam at 13. Founded in 1998 by postdoctoral researcher Jonathan Milner, Abcam is now one of the world's largest specialist producers of monoclonal antibodies for the medical and biological sciences research markets. Known for its open 'unfiltered feedback' model, which encourages customers to review its products online, just as you would rate books and music on Amazon, it made revenues of £122m and an operating profit of £46.5m in 2013. The highest riser in the top 10 this year also has a Cambridge connection, albeit a more prosaic one. Transport group Stagecoach - up 73 places to sixth - is one of the operators of the popular guided busway which opened two years ago and runs 16 miles through Silicon Fen to the towns of Huntingdon and St Ives. Stagecoach is also riding high after its victory against the Department of Transport over the flawed bidding process for the West Coast Main Line route, which it operates in partnership with Virgin Rail. London commuters, many of whom are unlikely to be fans of its South West Trains operation, be warned - it has just bid for the Docklands Light Railway franchise and may bid for Thameslink too. Honourable mention to another big riser, easyJet, up from 45th to ninth place. 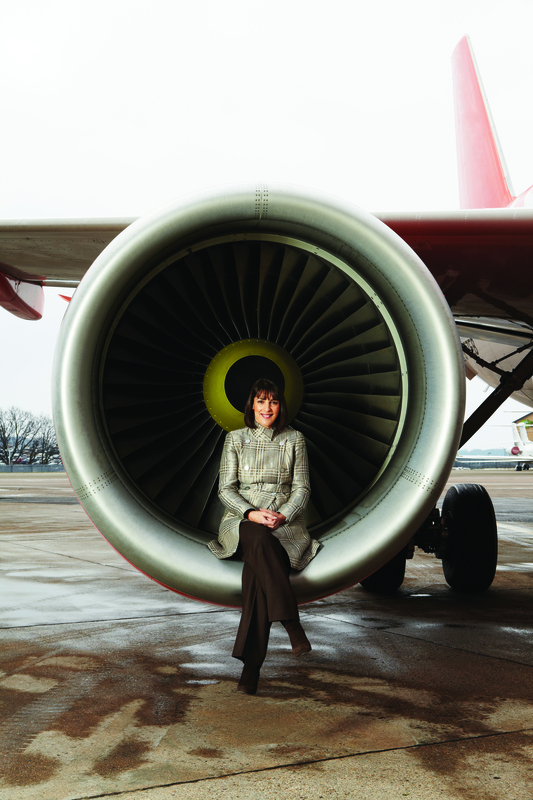 Boss Carolyn McCall also makes BMAC history as the first female CEO of a top 10 company. In what remains a tricky climate for airlines, McCall has faced down larger-than-life founder and key shareholder Stelios Haji-Ioannou in the long-running row over ordering 135 new aircraft, while also courting passengers and City alike with much improved punctuality and a 51% rise in profits, to £478m for 2013. MT can't help but speculate on how much she must be enjoying life at the moment, and especially the new-look 'humble' face of loudmouthed arch rival Michael O'Leary at Ryanair, a business not only well below easyJet in our ranking at 47th, but also forced to issue two profit warnings in as many months. What choicer example of the return of the competitive urge could you wish for? The essence of the main Britain's Most Admired Companies is peer review - banks rate other banks, telcos other telcos and insurers other insurers. But it can also be instructive to step back from this vertical approach and take a broader view, which is where the BSI Award for Continual Excellence comes in. This year this special sponsor's award is based on the BMAC research's free vote, a fascinating coda to the main report, conducted for the first time since 2008. The free vote is, as the name suggests, unrestricted by sector. Respondents are instead asked to name the company they most admire from across the entire cohort of 247. The free vote thus reflects the degree to which a company's reputation has spread, thanks to consistent effort on its part, beyond its own industry and into the wider business community as a whole. What better basis for the BSI Award for Continual Excellence 2013? The winner is employee-ownership champion John Lewis Partnership, whose long-term focus on quality of goods, value for money and old-fashioned customer service has earned it the respect not only of fellow retailers but also of UK plc as a whole. Congratulations to John Lewis for another glittering year.